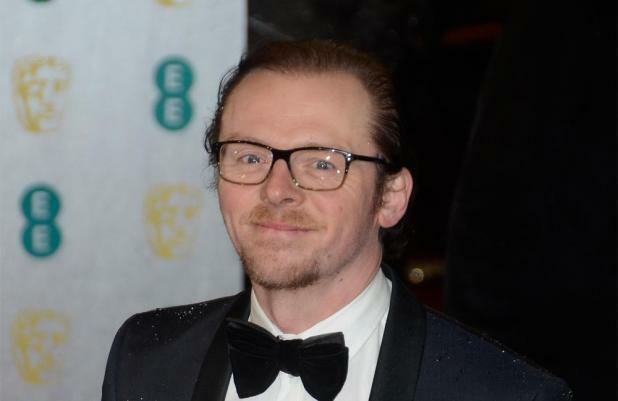 Simon Pegg has "no wish" to be in 'Star Wars VII'. The 'Star Trek Into Darkness' actor has revealed he has no desire to land a role in long-time collaborator J.J. Abrams' upcoming seventh installment in the space saga and would rather see it as a fan. The actor has previously been cast in several Abrams movies including the rebooted 'Star Trek' films, taking on the role of Scotty, and 'Mission: Impossible'. He told Industria magazine: "It's not one of my great wishes to be in 'Star Wars'. I'd love to go to the cinema and just watch it." Pegg also said he was relieved that original 'Star Wars' director George Lucas - who sold the rights to the lucrative franchise to Disney last year - will only be involved in the new films in a consulting capacity because the last three films were "dreadful". He said: "I'll always have a soft spot for George Lucas because he made the original films, but those prequels were dreadful and if he were making more 'Star Wars' films, I'd be worried." Disney has set a 2015 release date for 'Star Wars Episode VII' and it's thought Mark Hamill, Harrison Ford and Carrie Fisher will reprise their iconic roles as Luke Skywalker, Han Solo and Princess Leia in the flick. Producers recently confirmed the movie will be filmed in the UK.